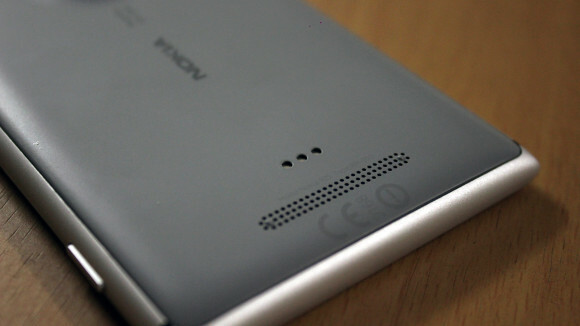 The very definition of a perfect smartphone is a moving target. Just when you think the conversation is about pixel density, the focus suddenly shifts towards screen size. You settle for camera optics as the prime differentiator and someone swoops in with a brand new 64-bit architecture and jaw breaking performance to steal the show. It was a somewhat similar story for Nokiaâ€™s Lumia 920 back in late 2012. It had a stellar build quality, an excellent and fast 60 fps IPS display and ground breaking new camera optics. But the engineering choices at the time led to a somewhat bulky design which always feel a little bit heavy in your hand. But it was so close to being perfect that a number of people (including myself) were willing to overlook the weight issues and the fact that it was running a platform which was clearly a distant third in an ever saturated smartphone market. But the majority simply ignored its existence went about their iPhones and Galaxies as if the device had never been introduced. As they say, hindsight is always 20/20 and it seems Nokia was also aware of the shortcomings if their flagship device because just six months after the release of the Lumia 920, Nokia introduced the Lumia 925 â€“ it packed the exact same internals but swapped the bulky polycarbonate body with a sleek aluminum frame. Nokia also tweaked the display and switched the IPS LCD panel with an AMOLED screen and made wireless charging an optional add-on. But six months is a long time in the technology world. By then, Samsung, HTC and Sony had all released their latest flagship models all featuring quad-core processors and 1080p displays and even Nokia itself was long rumored to be releasing a true successor to the 808 PureView with a full 41 megapixel camera. 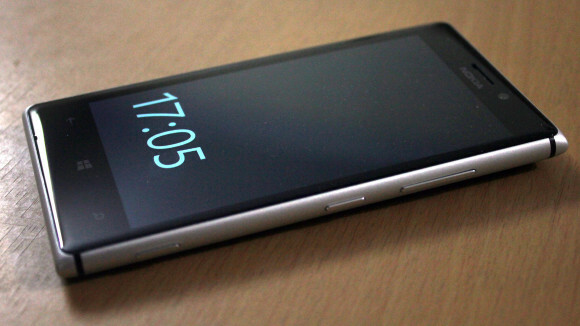 So does the Lumia 925 even stand a chance in the market when even Nokia seemed all set to upstage it? Youâ€™d be pretty surprised about the answer. In order to give the Lumia 925 a fresh look, Nokia decided to forego its established design language which it had used for all its previous flagship devices stating from the old N8 and N9. Instead it started with a clean slate â€“ an aluminum frame houses the screen and the soft polycarbonate back. But that doesnâ€™t mean that Nokia gave up on the curves. Quite the opposite actually. Every part of the frame is curved and blends in to the screen and the back quite nicely. The frame also doubles as the antenna for the device Ã la iPhone 4 sans the death grip. 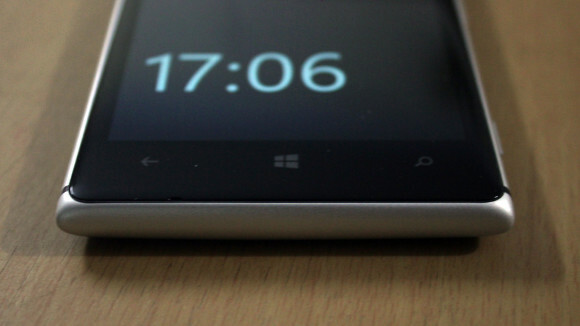 In terms of pure numbers, the Lumia 925 is about 2.2mm thinner and almost 50g lighter than the Lumia 920. What this essentially means is that the phone is light years ahead of its predecessor in terms of usability. During my weeks long experience with the device, I found myself reaching for the 925 a lot more than my primary 920 simply because it was a delight to hold. Nokia retains the exact same button configuration as it does on all its Lumia devices but the ports are switched up a bit. Youâ€™d find both the Micro USB port and the 3.5mm headphone jack on the top of the device, while the bottom edge is clean. The speakers are also moved to the lower back where there are also three golden notches for the wireless charging shell. The AMOLED screen might seem a step down from an IPS LCD at first, but keep in mind that the entire Windows Phone UI is optimized for AMOLED display so youâ€™d end with a huge win for battery life. Also, the AMOLED technology enables a nifty new software feature called Glance which Nokia brought back from the Symbian days. The Gorilla Glass 2 screen is optically bonded to the AMOLED panel to reduce glare and Nokia also added its ClearBlack tech for good measure, making the Lumia 925 as good as the Lumia 920 which it comes to sunlight legibility. The phoneâ€™s 768×1280 resolution might seem a bit odd but the 15:9 aspect ratio means that all apps designed for Windows Phone 7 scale perfectly on the larger resolution. For those interested in the PPI, it comes to about 332dpi for the phoneâ€™s 4.5 inch screen, keeping it above the iPhoneâ€™s 326dpi resolution, though it is still a long shot from all the 1080p devices coming out recently. Just like the Lumia 920 before it, the phone is powered by a dual-core Qualcomm Snapdragon S4 Plus running at 1.5GHz and an Adreno 225 GPU. 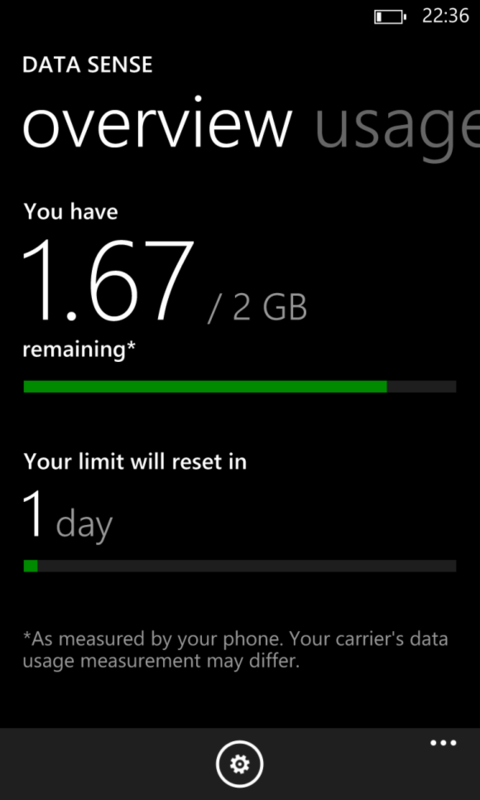 The phone also has a 1GB of RAM but only 16GB of Storage â€“ a step down from the 32GB available on the Lumia 920. A 2000mAh battery supplies the juice to run all the hardware. 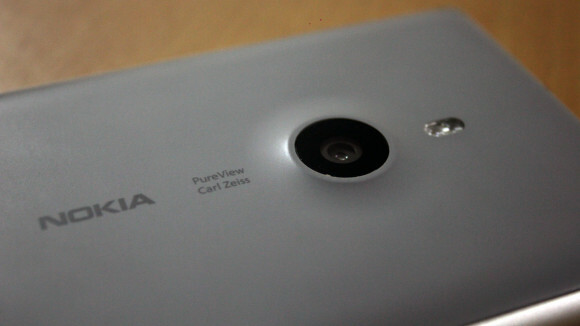 Nokia literally brands the camera on the Lumia 925 as PureView alongside the Carl Zeiss moniker but it is pretty much the same camera found on the Lumia 920 â€“ and that is a good thing. It has the same 8.7 megapixel sensor and optical image stabilization giving it the ability to take stellar shots in low light. In terms of actual hardware changes, the Lumia 925 adds a sixth glass element to the lens which supposedly improves sharpness in the images but youâ€™d be hard pressed to tell the difference. Most of Nokiaâ€™s camera improvements come in the firmware however and Nokia has tweaked the image processing algorithms a bit to keep images from appearing washed out. The new firmware also enables a host of other exciting camera apps which includes the new Nokia Camera which combines the previously available Nokia Pro Cam and Nokia Smart Cam apps. The app now lets you have fine-grained control over camera features such as shutter speed, ISO, and point of focus. The sliding manual control make it easy to create the perfect conditions for every shot you want to frame, though you will need a few seconds to set them up before you can actually fire a shot. These software features have also found their way into the Lumia 920 as well so the difference is really moot at this point. In terms of video recording, Nokia decided to change things up a little bit by using the third HAAC microphone for background noise cancellation instead of stereo input, leaving the audio in the video at a mono channel. The phone can record video in 1080p at 30 frames per second but is set to 720p by default. 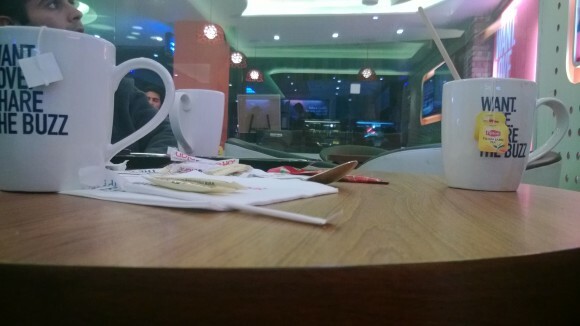 You can also zoom in while recording the video and the advanced image stabilization featured on the Lumia 920 is also featured prominently here. During my actual usage, the camera seemed to be just as good as the Lumia 920 and it was really difficult to tell the images apart without opening the full resolution versions on a computer. 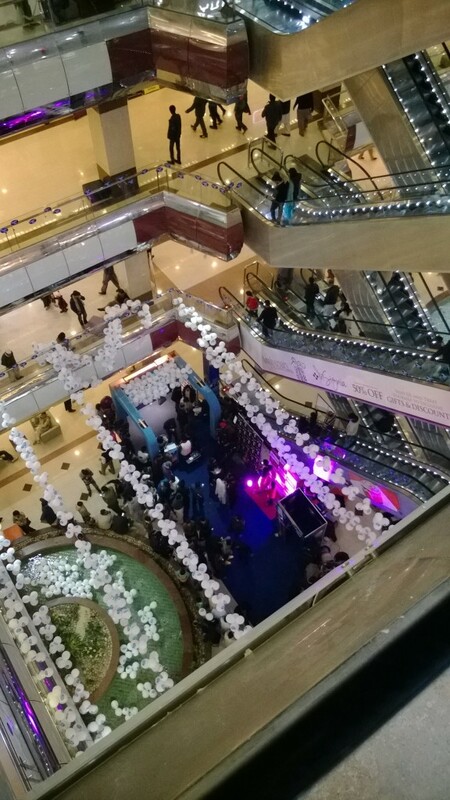 Low light performance was also excellent, as expected from the PureView Lumia line. 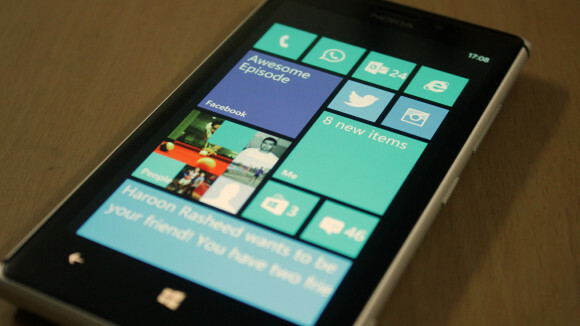 The Lumia 925 ships with Windows Phone 8 Update 2 and runs the Nokia Amber firmware. 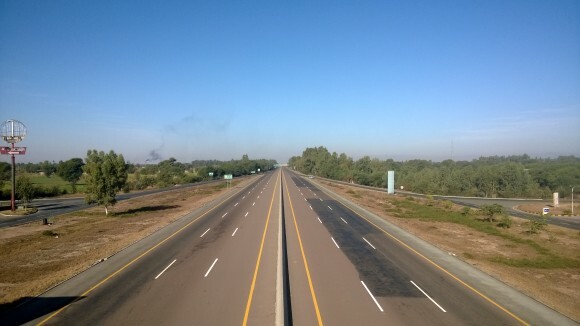 Compared to the original Windows Phone 8 release running on the Lumia 920, the new version adds support for FM Radios and more MMS options as well as the ability to set the default camera application among other things and general bug fixes. This still isnâ€™t a major new release that everyone is waiting for but a welcome new addition nevertheless. Another relatively big addition to Update 2 is Data Sense, which is now available to everyone regardless of their cellular carrier or contract. Data Sense helps you keep tabs on your monthly cellular data usage and gives a nice breakdown of data consumption of each app across both Wi-Fi and Cellular. Nokiaâ€™s Amber firmware also adds a couple of new tricks which include the Nokia Camera app, FM Radio, Call+SMS Filter, Display+Touch enhancements and the aforementioned Glance screen. Call+SMS filter lets you block annoying numbers so any messages or calls from them would automatically be ignored (you can still view them in the call+sms filter app) and will not show up in your Messages app or Call log. Glance is the real star here. What it essentially does is that shows the current time along with battery charging notifications when the screen is off. That is, when the screen is supposed to be blank. While this might sound like a battery drain, remember that AMOLED screens only power the pixels that need to light up, making the whole solution pretty energy efficient. You can also customize how long the screen displays the current time and can be set to a 15 minute timeout or remain on forever. You can also control it with a nifty gesture. Just wave your hand close to the device to show the glance screen. Itâ€™s not Kinect cool, but still a pretty cool trick in general. And Glance isnâ€™t the only old era feature Nokia brought back. 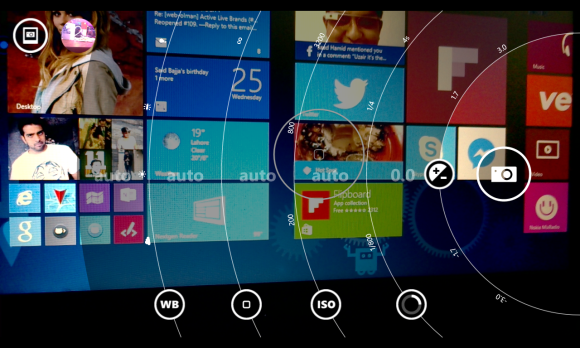 The new Display+Touch enhancements also let you wake up the device by double tapping on the screen, like you could on the N9. This will consume extra battery however as the accelerometer and touch screen are always listening. Another enhancement in the app allows you to tweak the color profile of your device to fine tune the display output of the screen to your personal liking. Unfortunately, running Windows Phone might also be considered the bane for this particular device as Microsoft is still slow to react to the market changes and new hardware trends. Most Android manufacturers have long shipped devices with 1080p screens and Apple has become the first one to ship a phone with a 64-bit chip. Meanwhile on the software front, both Google and Apple now seem to agree with Microsoftâ€™s modern approach towards UI design â€“ they still are light years ahead in terms of ecosystem development. Things are improving now that Vine has released their official app and so has InstagramÂ â€“Â though it is still a beta, but dedicated third party developers can only carry the platform forward for so long. The Qualcomm Snapdragon S4 might be last yearâ€™s hardware, but it is still the state of the art in the Windows Phone world. Thankfully, Microsoft has done such a good job optimizing the operating system on Qualcomm hardware that every aspect of the phone runs buttery smooth on even low end hardware if it has to. 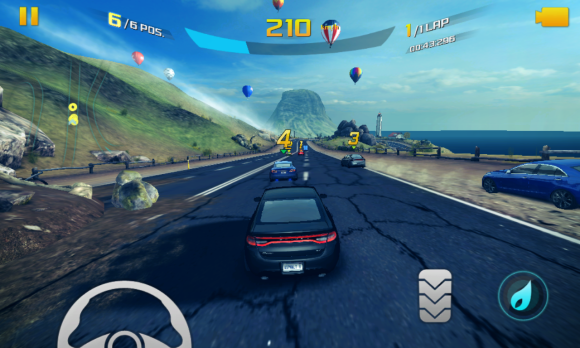 Being a 1GB memory device, the Lumia 925 can handle all the advanced apps which devices like the Lumia 520 and 620 canâ€™t â€“ which include intense 3D games like Modern Combat 4 and N.O.V.A. 3. Halo: Spartan Assault also chugged along smoothly without any hiccups as did Asphalt 8: Airborne. The phone did run into trouble with cellular data a couple of times a dropped calls occasionally. It wasnâ€™t anything frequent but it was hard to discern if it was a problem at the network operator or the review unit itself. Iâ€™ll update this section once Iâ€™m able to determine the exact cause. Thankfully, when the phone was able to make calls, the voice quality was crystal clear at both ends. The three HAAC microphones seem to be doing their job well with the background noise cancellation. 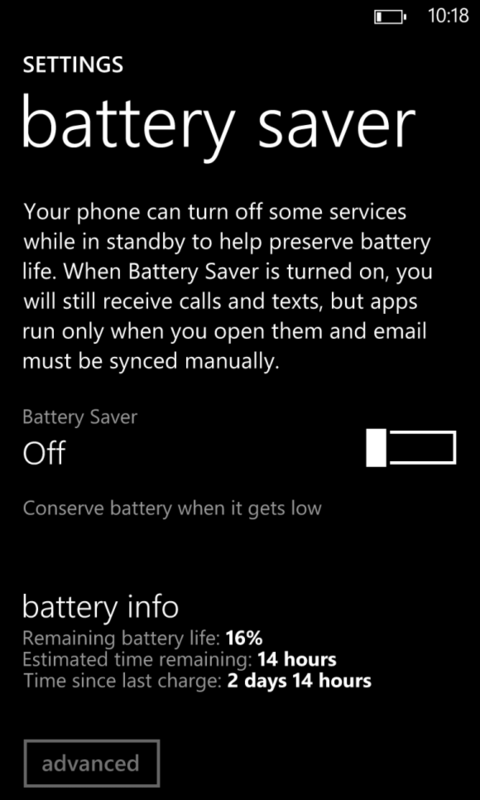 Battery life on the Lumia 920 and Windows Phone in general has been great thanks to the tight control Microsoft has over the hardware and the software environment. Lumia 925 is more of the same â€“ in fact, minor tweaks like the AMOLED screen actually improve the battery life compared to the Lumia 920 by a margin. 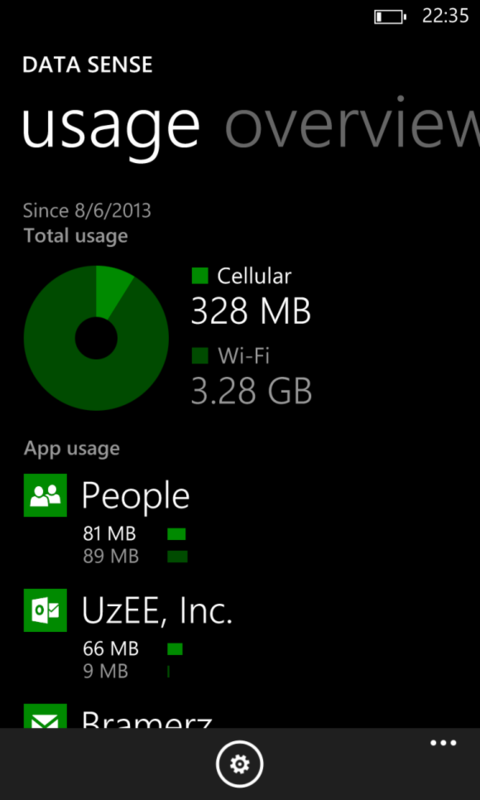 Under moderate usage which including a couple of phone calls and cellular data usage along with some Wi-Fi connected web surfing with screen brightness set to auto, I was able to get nearly 3 days of battery life out of the Lumia 925. This didnâ€™t involve any gaming or watching videos however. Under heavy day to day use, which also includes three push email accounts, a connected Facebook, Twitter and LinkedIn account, an occasional race in Asphalt 8, a match in FIFA 13 a couple of online videos, lots of apps like Twitter, Facebook, Vine, 6tag, and NextGEN Reader the phone managed to get nearly 2 days of battery life. That is still pretty remarkable considering my Lumia 920 only manages to get a day and half under same circumstances with the exact same 2000mAh battery. The Nokia Lumia 925 is every bit the phone which the Lumia 920 should have been at launch. Given the choice, Iâ€™d have gladly picked the 925 over the 920 any day. 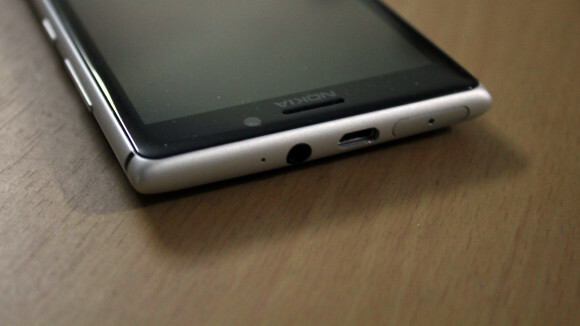 But Nokia since Nokia was able to address all the issues with the Lumia 920, then everything is good right? Well not quite. Only a month after launching the Lumia 925, Nokia complicated things by releasing the Lumia 1020 which shared a bulky polycarbonate design similar to the Lumia 920 but also contained a massive 41 megapixel camera and 2GB of memory. It is also available in an array of colors which this device is not. This would have put the Lumia 925 in an awkward position. Thankfully, the Lumia 925 retails for around $449 (PKR 50,000 in Pakistan) compared to a much higher $649 for the Lumia 1020 making it an easy replacement for the Lumia 920 for those how want a high end Windows Phone experience but donâ€™t have the budget (or the upper body strength) to afford the top of the line Lumia. Nokiaâ€™s brilliant design language and build quality along with their efforts on the software front somewhat make up for Microsoftâ€™s own slow pace in terms of building out the platform. 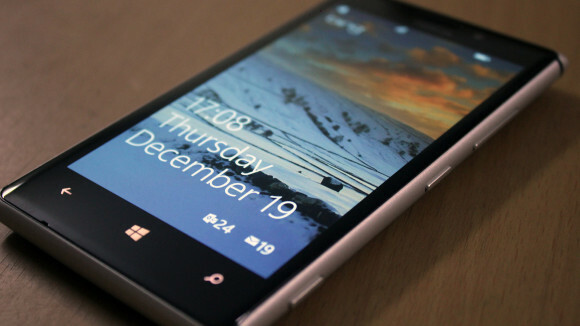 Even a full year after the last major Windows Phone release, Microsoft has shared no plans about the future beyond a small Windows Phone 8 Update 3 which adds a rotation lock and the ability to kill apps from the multitask screen. For anyone who isnâ€™t already tied down into an ecosystem or doesnâ€™t care for the latest and greatest spec sheet, the Nokia Lumia 925 is a great high end device to experience the Windows Phone ecosystem on. The phone improves on nearly every flaw the Lumia 920 had and adds great new design and battery life as icing on the cake. No reactions to the post yet! Ran 8 queries in 0.147 seconds.